We host close to 100 competitions and numerous fundraisers each year. With that, we are always looking for volunteers! We need you to be there to volunteer for our athletes. There are various volunteer jobs; you can view a full list here. You can get more info and to register by contacting our Volunteer Director by clicking here. 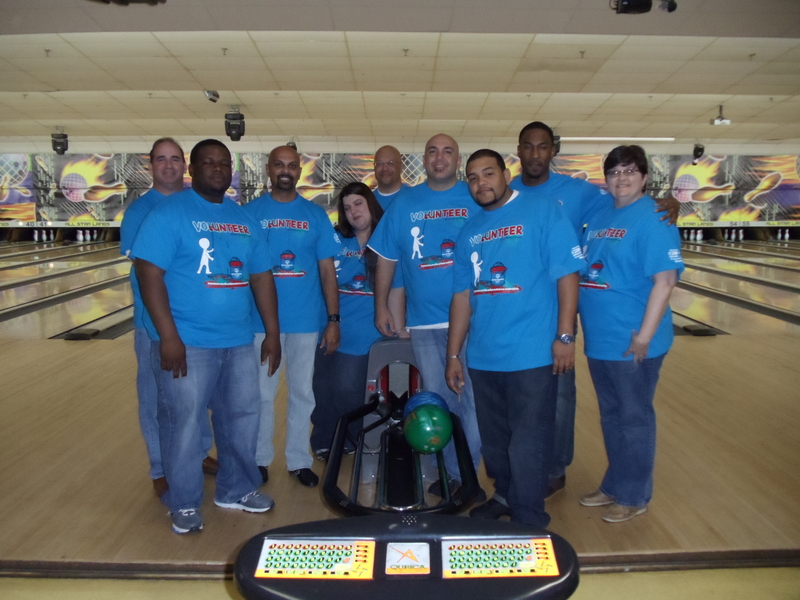 We hope to see YOU at a Special Olympics Louisiana event! Special Olympics World Games App! 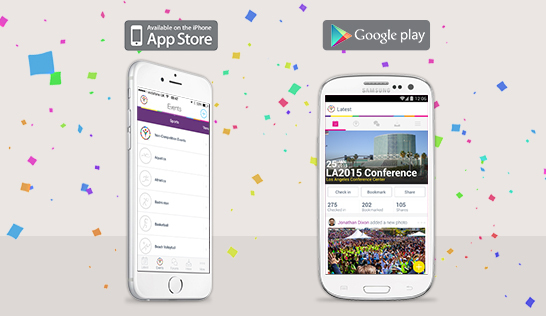 The App for the Special Olympics World Games is here! Be sure to head to the iTunes Store or Google Play Store and download today! -Receive important notifications, follow other World Games app users, make friends and message them personally. -Join the conversation in forums. -Get event information (with the ability to bookmark the events you plan to attend), and easy access to all things World Games. Gather your family, friends, and co-workers and register for the Florida Parishes Trivia Night! This is the 1st annual Trivia Night in the area and it is sure to be a great time! 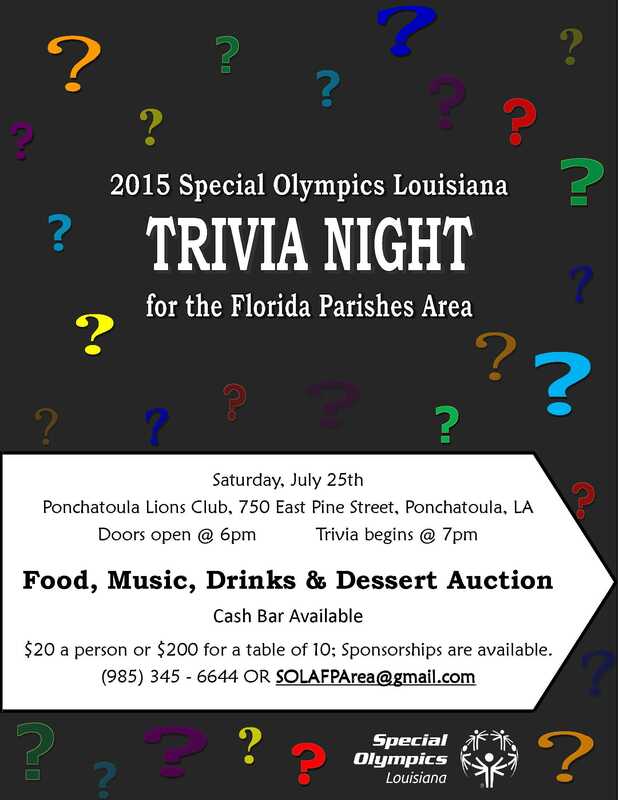 Trivia Night will take place on Saturday, July 25th at the Ponchatoula Lions Club in Ponchatoula, LA. The evening will kick off for 6pm with food and drinks and the Trivia will promptly kick off for 7pm. It is $20 a person or $200 per table of 10 people. Individuals may register and will be put on a team, however, teams are strongly encouraged to register. Dinner is included in the price of the tickets! There will also be music and a dessert auction to satisfy your sweet tooth. Sponsorships are also available, click here for more info. Camp Shriver is taking place in Shreveport this week! This 3-day camp will feature athletes and unified partners playing on the SAME team. Throughout the year, we host Camp Shrivers in locations throughout the state. To learn more about Camp Shriver, please click here. 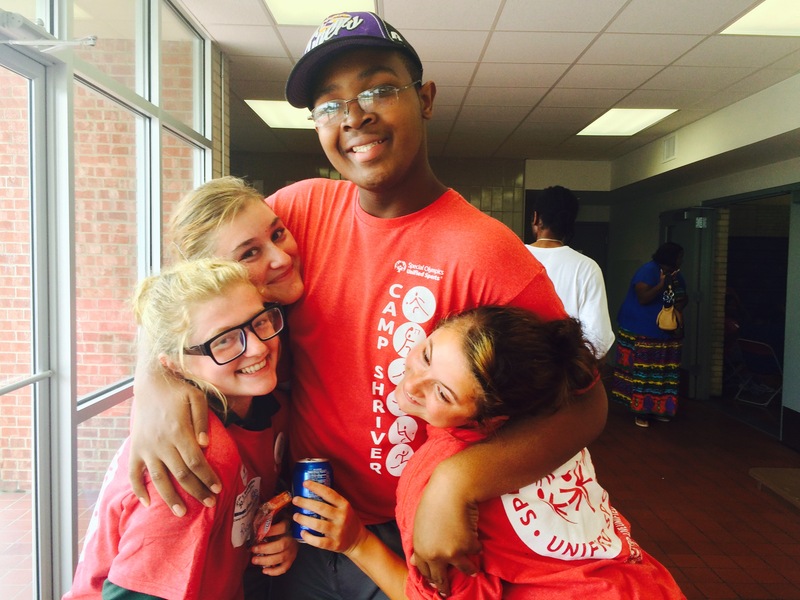 To view a few pictures from Camp Shriver in Shreveport, click here. It’s true! We want to hear your thoughts! Do you have a blog topic that you would like us to talk about? maybe an upcoming Special Olympics competition or fundraiser? 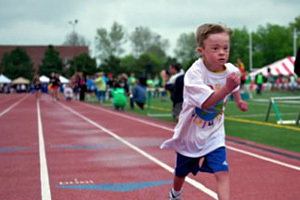 Perhaps you have a great story about one of our athletes? Let us know! Click here to submit your story! Be sure to put in the comments line that it is for the blog. Please note: NOT all topics can be used, but we will do our best! 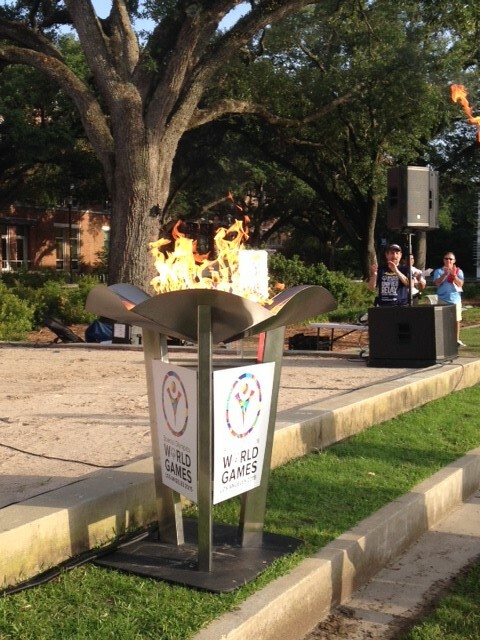 The Unified Relay Across America has made its way through Louisiana! Last week, the Relay made its way through our state with major stops in New Orleans, Baton Rouge, and Lake Charles and a great time was had by all! Thank you to all of the torch runners who raised money and participated in the Relay! Your support of our athletes was awesome! Big thank you to our host sites: Tulane University, Town Square, and the Lake Charles Civic Center! Finally, a huge thanks to our URAA sponsors in Louisiana: Roadrunner Towing and Winn Dixie! As the unified Relay heads west, we hope our friends in those states will have a great time, just as we did! Check out some pics from the Southern Route here and view some community celebration pictures here.